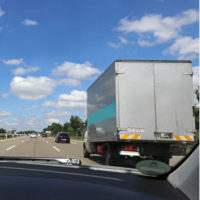 Will Video-Based Safety Eventually Exonerate Many Truck Drivers? While the National Highway Traffic Safety Administration has already established that inattention, speeding, failure to yield, and unsafe lane changes are some of the top causes of truck accidents, a new Fleet Owner whitepaper on video-based safety (released by SmartDrive) makes the case that even though truck drivers are blamed for most of the trucking accidents in the U.S., 80 percent are actually the fault of the other drivers. Most of the data gathered was possible due to more and more surveillance cameras being placed by state and highway authorities, as well as bystanders taking more of their own videos and making these accessible to accident reconstructionists. This could have a profound effect on liability, as video footage has, of late, attained a reputation for being one of the most reliable resources for establishing liability in general. While continuing other investigatory methods is still very important, of course, video footage like this does appear to be guiding liability investigations more and more. According to one in three respondents surveyed for the whitepaper, video safety systems were responsible for approximately 25 percent of exonerations and saved approximately 43 percent of time spent on processing claims. Ensure that any internal practices (such as sharing videos via internal communications) are protected by corporate counsel, if need be. If you have been involved in a truck accident, contact one of our experienced accident attorneys right away to find out how we can help. These cases often involve multiple complexities and severe injuries; sometimes even deaths. There can also be multiple parties liable, depending upon the circumstances. It is important that you work with someone you can trust while seeking justice while you recover. At Friedland & Associates, we provide the experience you can trust.